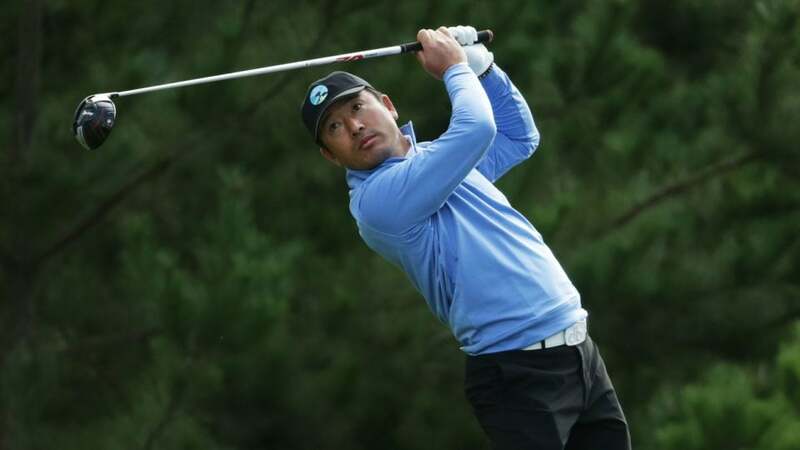 Hosung Choi plays a tee shot during the first round of the 2019 AT&T Pebble Beach Pro-Am. After two exciting rounds on the Monterey Peninsula, the third round awaits at the 2019 AT&T Pebble Beach Pro-Am. You can find full third round tee times below. Unlike most tournaments that make the cut after two rounds, the AT&T Pebble Beach National Pro-Am features of 54-hole cut. That means that all the players who began the event will play Saturday’s third round, no matter their score. Phil Mickelson has strung together two solid rounds to again give himself a chance at victory. He tees off for the third round at 12:39 p.m. ET alongside 2018 Masters champion Patrick Reed. Jordan Spieth and Dustin Johnson will start their third round together at 11:15 a.m. ET. The two major champions are both within striking distance of the lead. Hosung Choi continues his PGA Tour debut at 1:01 p.m. ET, also at iconic Pebble Beach Golf Links. 11:00 a.m. – J.J. Spaun and Jim Torgerson, Matt Jones and Henio Arcangeli Jr.